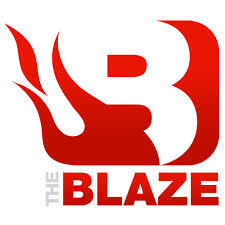 As TheBlaze previously reported, Faith Driven Consumer conducted a scientific poll about “Exodus” that found 73 percent of all American adults would be likely to see “Exodus” if it “accurately portrays the biblical account of Moses leading the Jewish people out of captivity.” But it also found that 67 percent of all American adults would be unlikely to see the movie if it doesn’t accurately portray the Bible. The Hollywood Reporter said 20th Century Fox declined to comment on the matter. Just before Noah opened, Stone’s group sent missives to Christians nationwide that the movie “appears to have replaced the Bible’s central point of God’s judgment on man’s inherent sin with a story focused on a contemporary environmental theme.” Because of the controversy that swirled around Noah, Stone said he was surprised to see that Bale called Moses “schizophrenic” and “barbaric” ahead of the film’s opening on Dec. 12.